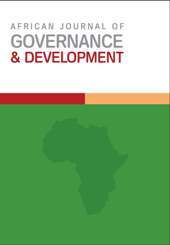 This paper is conceived from the perspective of practitioners and evidence well documented in the field of governance and social accountability. The greatest impact of corruption is on the poor – those least able to absorb its costs. Corruption illegally diverts state funds, undercuts services such as health, education, public transportation or local policing that the people depend on most. Diversion of scarce resources jeopardises the health and safety of citizens through, for example, poorly designed infrastructure projects and scarcity of medical drugs in hospitals. Whereas there are favourable policies and legal frameworks such as the Constitution of the Republic of Uganda (1995), the Code of Conduct for public officers (2002), the Local Government Act (1997), the anti-corruption laws to hold public officials in Uganda accountable, there has been inadequate follow up and actions to actually hold corrupt officials liable. Existing policies demand that public officials in Uganda declare their source of wealth, exhibiting a high level of integrity and social accountability. This paper discusses the performance management measures instituted in Uganda in the light of the cross cutting bottlenecks in their execution. It brings to the fore the resultant negative consequences that manifest in inequitable distribution of service delivery, most particularly within the key priority areas of health and education. We use insights from these two sectors to question whether performance measurement can be a panacea to accountability problems. The paper suggests new strategies and approaches, which in our view could (1) mitigate corruption and (2) address inequity in public service delivery for the benefit of the common citizen.